Enter your signature and click OK.
You have just set your email signature for that particular email account in Gmail. Check “Use Signature” to On. 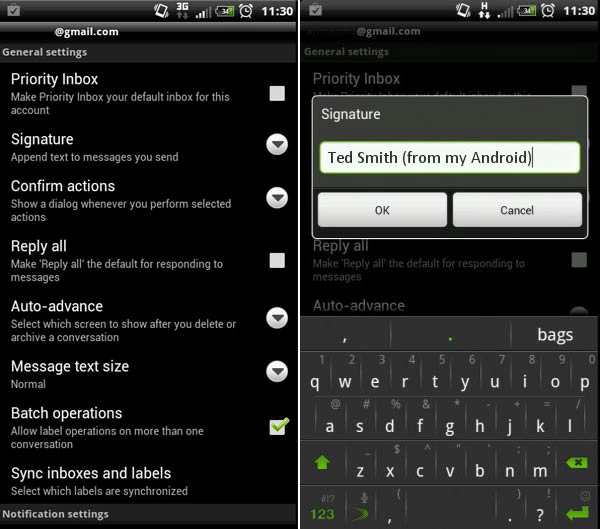 Tap Signature and enter the signature you desire for that particular account.